The festival of Rakhi holds a special place in the hearts of Indians. 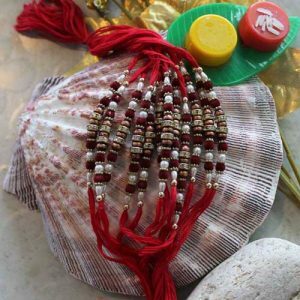 Whether you belong to Uttar Pradesh or Delhi, Rajasthan or Madhya Pradesh, one festival that always warms hearts is Rakhi. 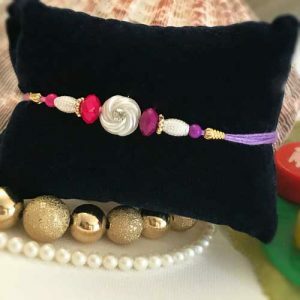 Even if you have moved your base out of India you can easily Send Rakhi to India, our site Online Rakhi helps you to connect back with your family and friends on this beautiful occasion of bonding and fraternal love. 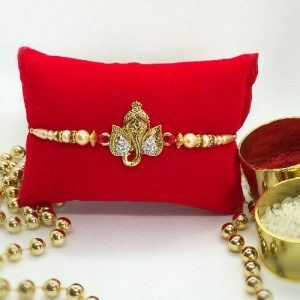 The wide array of Rakhi Gifts to India on Online Rakhi will help you choose from the many varieties of Rakhis that you could send or Buy Rakhi for your brother on this festival. 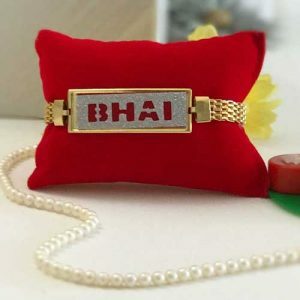 The site offers you several varieties of Brothers Rakhi, Sets of 2,3 and 5 rakhis to be sent as Rakhi gifts for larger families and combinations like premium rakhi, rakhi with puja thali etc. to name a few. 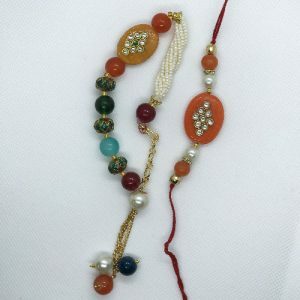 Choose from Lumba/Bhabhi ki Rakhi to be sent along with Rakhis for your brothers and sister in law. 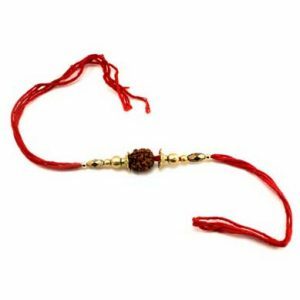 Rakhi Gifts to India have a wide array of gifts to be given to your lovely sister/s staying back in India. Pick from exclusive hampers, chocolates, cosmetics and handbags or watches, designer jewelry, saree hampers and send them as Rakhi gift celebrating the occasion of affection and care. 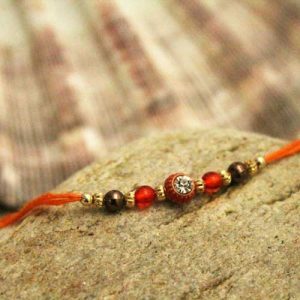 Send Rakhi Gifts from Online Rakhi and avail of free shipping to India and many countries like U.S.A., U.K., Canada and Australia. Isnt it simply wonderful to shop in Indian rupees but have these gifts delivered anywhere across the world with just a click? Online Rakhi Shopping with Online Rakhi. 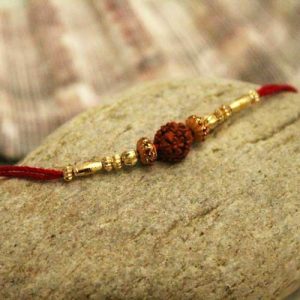 Rakhi is the time to celebrate the sibling love with your brother or sister. Since ancient period, this festival is celebrated on the full moon day called Rakhi Purnima in throughout India with different names. The auspicious occasion signifies the special bond of love among siblings.Every sister spends days to search for an exclusive Brothers Rakhi to adorn the hand of her loving brother. Unmatched range of Rakhi for Brothers to make this occasion more special. 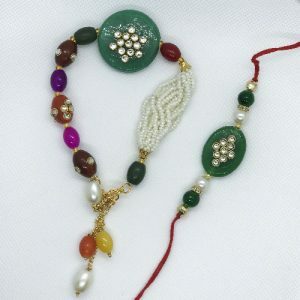 Exclusive Brothers rakhi in Zari, Beads, premium stone and fine resham thread are inbuilt together. These rakhis hold big dial of which people of Gujarat and Punjab are really fond of. An enticing array of stunning rakhis for brothers is designed by highly skilled designers. 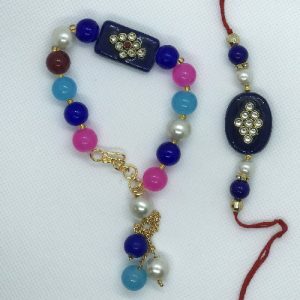 Each rakhi is absolutely handcrafted by skilled artisans and they put all their skills to play with different motifs and patterns and create a unique piece every time. It takes approximately 15 days to prepare each rakhi. High quality rakhis are comfortable to wear and they come in traditional colors and designs.